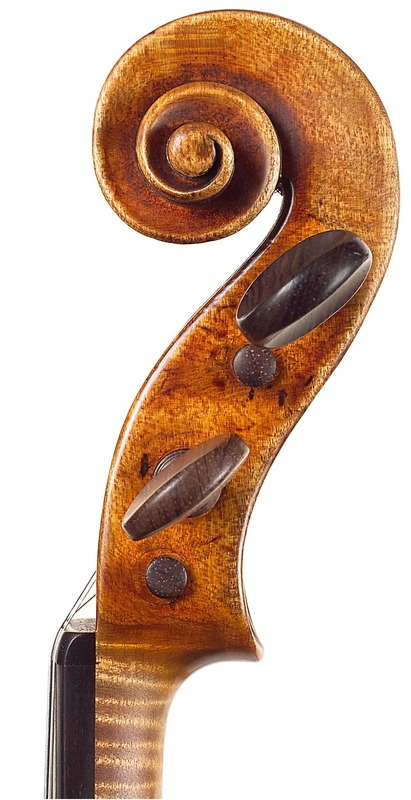 The stunning ‘flame’ patterns that we see on the back of fine instruments are an optical effect produced when the grain of maple grows in undulating patterns. When planed, scraped or burnished and particularly under certain types of varnish, the flame reflects light and appears to have an almost holographic effect. 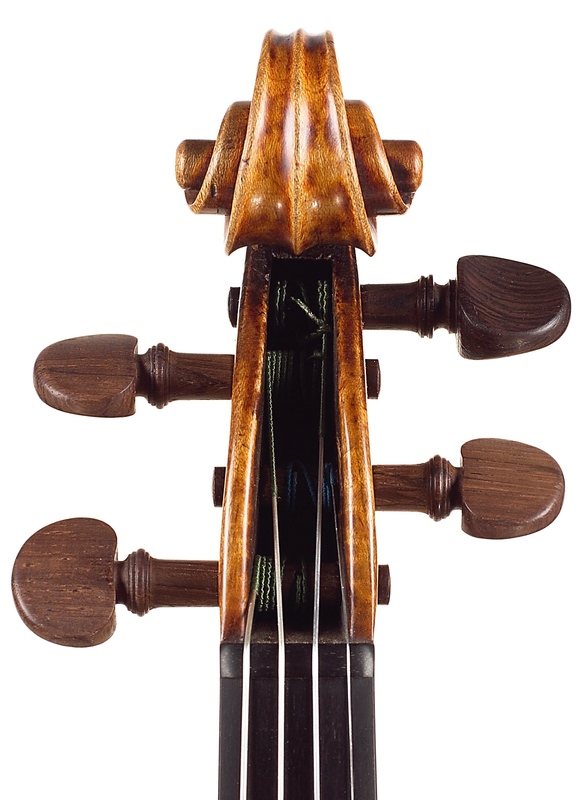 When one holds a heavily-flamed violin in strong sunlight, the figure can seem as if it’s alive and moving. The way in which maple is cut and prepared determines the flame’s appearance. The typical ‘tiger stripe’ flame pattern results when the tree is cut “on the quarter” which means a triangular wedge is cut with its apex at the center of the tree and its two long sides equal radii of the trunk. 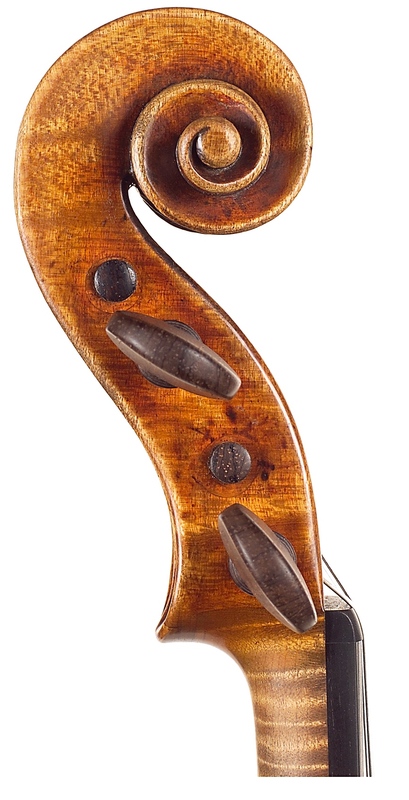 Alternatively, wood for a violin can be cut “on the slab” which means a section of the trunk is cut that is not a radius of the circle and doesn’t pass through the centre of the tree. 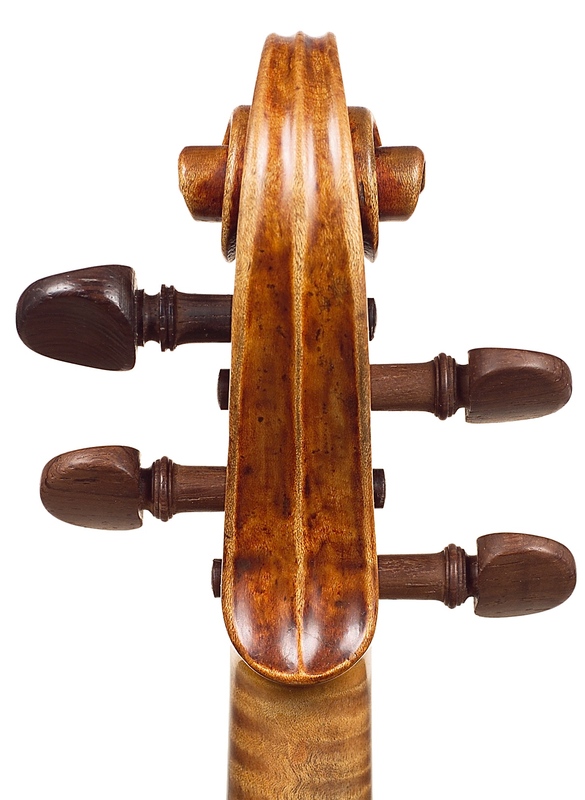 The 1690 ‘ex-Leopold Auer’ Stradivari played by Vadim Gluzman shows an excellent example of maple cut on the slab. The figure is iridescent and lively but slightly less pronounced and more mottled and irregular. 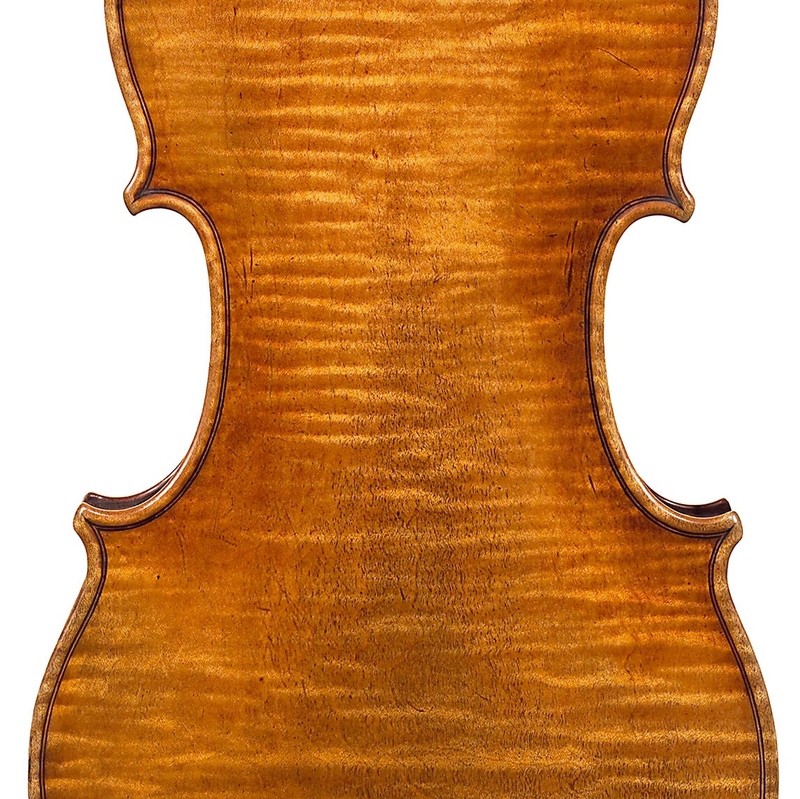 Stradivari used slab-cut maple extensively in the 1680s and 90s as had the Amatis, Guarneris and Rugeris before him, but his instruments from the 18th century more typically use maple cut on the quarter. 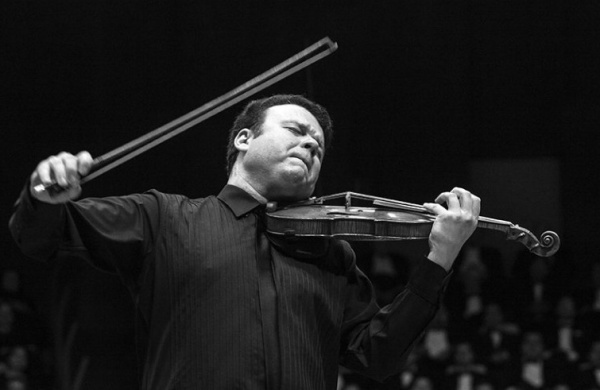 Vadim Gluzman didn’t have much choice about the instrument he plays. But given that instrument was the 1690 ‘Auer’ Stradivari, this is not an issue. 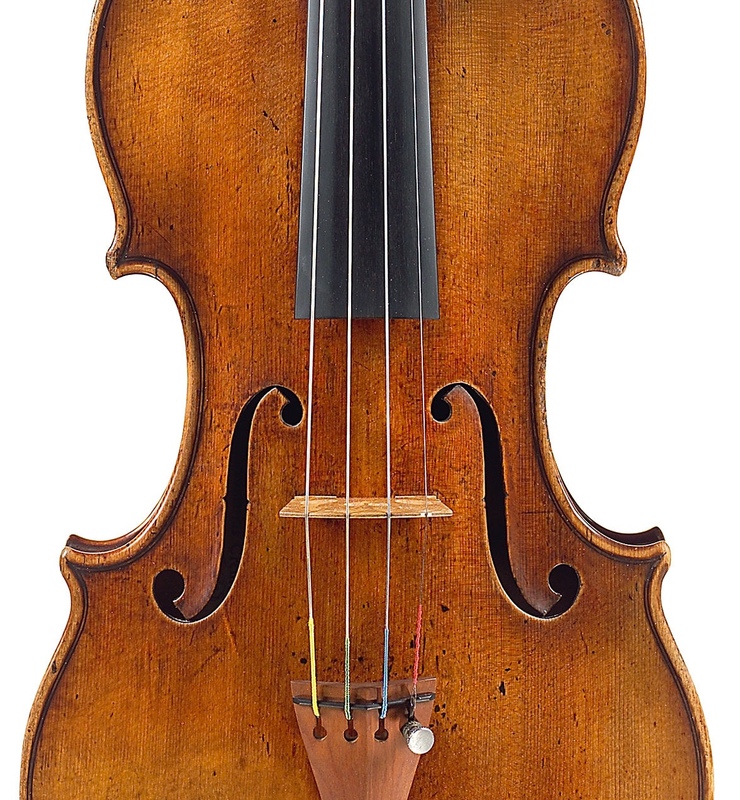 The violin was given to him on loan 17 years ago by the Stradivari Society. He remembers the first time he played it.